Congratulations to Tabb , Jamestown Grafton and Poquoson High Schools for being recognized by Hampton Roads Magazine among the twelve best public high schools in Hampton Roads for the 2012 school year! Below are their top five best public high schools in the Hampton Roads region for the 2012 school year. Standout programs: The York County School of the Arts, a program in the fine arts, provides students with an education comparable to the math and science opportunities offered by the Governor’s School for Science and Technology. Through the Virtual Learning Program, students engage in curriculum that blends online and offline learning experiences. Awards: Second-highest ranked high school in the Hampton Roads region in Newsweek’s listing of America’s Best High Schools; 63 percent of 2012 graduates enrolled in four-year colleges or universities. Standout programs: Students may enroll in concurrent courses at The College of William and Mary, Christopher Newport University and Thomas Nelson Community College. Dual enrollment credit is offered for many technical and academic classes, with some technical courses leading to industry certification. Awards: Maintains its place as the highest ranked high school in Virginia Beach as well as the Hampton Roads region in Newsweek’s listing of America’s Best High Schools. Standout programs: Home of Virginia Beach’s International Baccalaureate program, designed to meet the highest standards required of any high school in the world. The prestigious program offers a rigorous, comprehensive approach to learning in the last two years of secondary school. The school also hosts the Virginia Beach center for students with moderate to severe disabilities. Awards: Principal Carolyn Bernard received the prestigious 2013 AdvancED Virginia Excellence in Education Award. Standout programs: Governor’s STEM Academy operates as a school-within-a-school and features a cutting-edge curriculum especially designed for students with an interest in STEM (science, technology, engineering and mathematics) careers. Students have multiple opportunities for taking advanced courses and sampling special programs such as mentorship and internship. Awards: More than $3 million in scholarship money awarded to graduating seniors in June 2011; Virginia High School League Wachovia Cup for outstanding academic and athletic achievement has been awarded to the school more than any other school in the state. Standout programs: The school has won 40 state athletic titles overall. Blue ribbon awards were also given for the music program, student newspaper and student yearbook. This article appears in full in the February 2013 issue of Hampton Roads Magazine. Search homes for sale in the top rated Hampton Roads high school districts below. Pssst.——I’m a real estate agent. Thanks for stopping by my website. I would love to help you find your dream home and community in the Hampton Roads or Williamsburg area or to sell your existing home. I can help you access all the information you will need about choosing a neighborhood and buying a home in New Kent, Gloucester, Newport News, Hampton, York County, Smithfield, Williamsburg, Poquoson or the greater Hampton Roads area, including area information on schools, local government, shopping, activities for the children and more! Whether you have made a decision to relocate, retire or are just considering a move to Williamsburg or Hampton Roads VA, let me help make your transition or PCS to the area a smooth and enjoyable one! Hampton Roads is a transient community due to the large population of military members in the area. I have a unique perspective on relocation and have helped many families move in and out of the area. I understand the kind of support team it takes to make a smooth transition. Complete tours can be scheduled to help you familiarize yourself with Williamsburg and Hampton Roads neighborhoods, home prices, shopping centers, military bases, recreational facilities, public & private schools and transportation systems. My orientation will provide you with awareness of aircraft noise & accident potential zones, flood zones, major traffic patterns and commute times to your job. Kudos to areas schools ! The Virginia Board of Education is honoring 46 schools and one school division for raising the academic achievement of economically disadvantaged students. The awards are based on student achievement on state assessments during the 2011-2012 and 2010-2011 school years. West Point Public Schools earned the Highly Distinguished Title I School Division designation by exceeding all federal Elementary and Secondary Education Act (ESEA) achievement objectives for two consecutive years and having all schools fully accredited for two consecutive years. . The schools recognized include four York County Schools, One in James City Co/Williamsburg and one in Portsmouth for raising the academic achievement of economically disadvantaged students. Bethel Manor Elementary Schools is one of just nine schools statewide to earn the recognition as a Title Highly Distinguished School for exceeding all state and federal accountability benchmarks and achieve average scores on Standards of Learning (SOL) tests in English and mathematics at or above the 85th percentile. 37 more schools were named Title I Distinguished schools for meeting all state and federal accountability requirements for and achieving average reading and mathematics SOL scores at 60th percentile or higher, including: D.J. Montague Elementary, Dare Elementary, Seaford Elementary, Waller Mill Elementary and Victory Elementary.. The awards are based upon student achievement on state assessments during the 2011-2012 and 2010-2011 school years. A full listing of schools recognized this year is available on the VDOE website. “The success of the teachers and students in these schools is particularly noteworthy given the challenging new mathematics SOL tests that were introduced during the 2011-2012 school year,” Superintendent of Public Instruction Patricia I. Wright said. Each school and division will receive a certificate celebrating its status and achievement. For students attending York County Virginia schools technology and content are integrated seamlessly into life-changing, serviced-based learning projects. With a higher purpose driving them, students not only learn their curriculum-driven subject matter, they also master the 21st century skills they’ll need to succeed throughout life. And they stay engaged long after the assignment is due. Eric Williams, York County School Superintendent , a former Social Studies teacher and principal, promotes providing students with opportunities to make a difference locally, nationally, and globally through project-based learning. He says it’s never too early to start students on this path, citing third graders in his district who were charged with a difficult decision: how to invest real charitable dollars allocated to Oxfam. The students experimented with different fertilizer types, Skyped with experts and ultimately made a decision based on their findings. “So much can be accomplished when you combine service learning with learning content,” Williams says. Governor Bob McDonnell and the Board of Education announced today that 447 schools and two school divisions earned 2012 Virginia Index of Performance (VIP) awards for advanced learning and achievement. The incentive program recognizes schools and divisions that far exceed minimum state and federal accountability standards and achieve excellence goals established by the governor and the board. 2 schools that earned the Board of Education Rising Star Award. 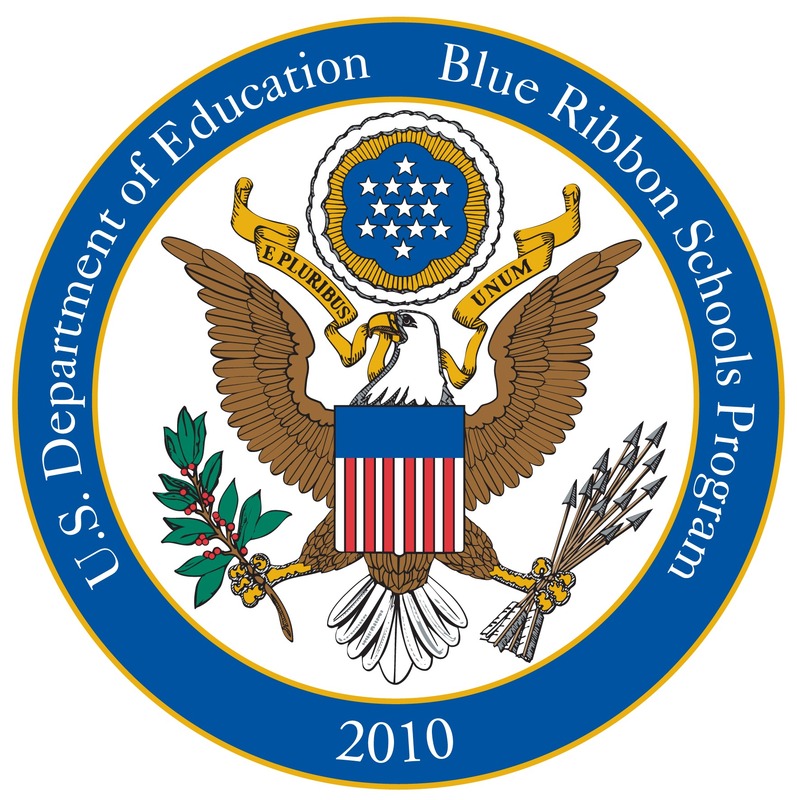 Grafton Bethel Elementary School in York County was honored Thursday as one of the 2010 National Blue Ribbon Schools recognized by the U.S. Department of Education. A total of nine schools in Virginia and 304 schools across the country received the designation, which includes 254 public schools and 50 private ones. The schools will be honored at an awards ceremony Nov. 15-16 in Washington. The award honors public and private elementary, middle and high schools whose students achieve at very high levels or have made significant progress and helped close gaps in achievement especially among disadvantaged and minority students. Virginia’s other winners were Bellevue Elementary School in Richmond, Cleveland Elementary School in Cleveland, Eureka Elementary School in Keysville, Highland County 6-12 School in Monterey, Lincoln Elementary School in Purcellville, Patrick Springs Primary School in Patrick Springs, St. Ambrose Catholic School in Annandale and St. Theresa School in Ashburn. Students attending Williamsburg/James City County Public Schools achieved all-time highs on their Standards of Learning (SOL) test results in every subject tested by the Commonwealth of Virginia in 2009.
years. As for the NCLB Graduation Indicator, we still have work to do,” concluded Dr. Mathews. 2009-10 NCLB ratings are based on 2008-09 SOL results, graduation, and attendance. The annual achievement goals are required by the federal No Child Left Behind Act, which provides funds and support for low income and academically at risk students. Virginia uses pass rates on its Standards of Learning reading and math tests for the AYP goals, which rise each year until 2014, when all students are expected to pass the tests. This year’s target pass rates increased 4 percentage points, from 77 percent to 81 percent in English and from 75 percent to 79 percent in math. Students in grades 3-8 and high school take the state-required multiple choice tests each year. Schools and districts must report AYP results for all students in a school or grade, as well as subgroups of students the federal law considers considered academically at risk. These include low-income students, minority students, special education students and students learning English for the first time. Schools that fail to meet the targets two or more years in a row are subject to sanctions ranging from offering students transfers to better performing schools and tutoring paid for by the district to more stringent steps specified in the law, up to reorganizing or closing schools. This year, public schools throughout the Historic Triangle plugged along and made progress, although in Williamsburg James City County schools it was a handful of students whose failure to achieve meant the division as a whole did not earn AYP. According to data released by W-JCC schools the division missed making AYP in reading by 13 students, four of whom are black and nine who have limited English proficiency. The division’s biggest success was at D.J. Montague Elementary, where the staff faced possible sanctions because of failure to progress. Their students’ achievement this year was reflected in much higher, statistically significant scores in four of five subject areas. W-JCC Superintendent Gary Mathews singled out the students and staff at Montague for praise. He said the school "avoided possible reconstitution of the faculty and staff. This was certainly a heavy burden before D.J. and they passed with flying colors as we predicted a year ago. I continue to have great confidence in Principal Sammy Fudge and the entire D.J. faculty and staff." In York County, 15 of the division’s 19 schools made AYP, with middle schools again proving the sticking point. Division-wide, York schools did earn AYP. "All YCSD schools have earned full accreditation since the 2002-03 school year," said superintendent Eric Williams. "That is quite an accomplishment." Like in W-JCC schools, specific subgroups of students in the four middle schools were identified as needing improvement to pass. The school division earlier this year announced it would implement several changes at the middle schools beginning this fall. Among them are a new math program, block scheduling and a revised K-12 writing model. Fifty-nine of the state’s 132 school divisions made AYP this year. Locally, that includes Poquoson City Schools. Complete results, viewable by school division, are available here. A breakdown of Williamsburg- James City County schools’ performance is available at the division’s website. If you are thinking of moving or relocating to Hampton Roads Virginia and want to contact any of the private or public schools in the regions the links are provided below. I would also recommend visiting www.SchoolMatters.com to compare schools around the area. This information provided my Mr Williamsburg.com . A Realtor assisting home buyers and sellers in the Hampton Roads and Williamsburg areas of Virginia.